Mother’s Day is coming up and you are probably looking for the perfect gift. Let me help you find it with a Paper Pumpkin Prepaid Subscription! 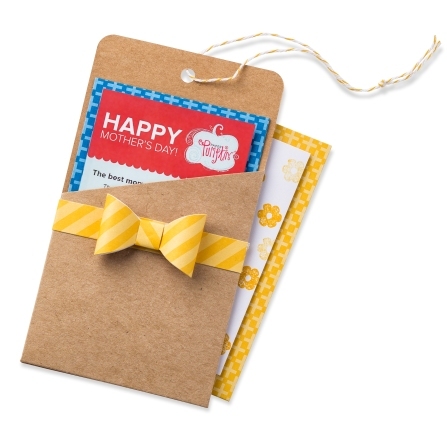 Mom (i.e., mom/grandma/aunt/daughter/mother-in-law) will love how it includes everything she needs to feel crafty and have a simple, fun experience at the same time. I even have an adorable gift certificate to print up for you (see the one tucked into the sleeve)?